Working in the office forces us to lead a sedentary lifestyle, which does not have a good effect on health. When in the evening you realize that during the whole day you got up from your chair just a couple of times, it's time to change the routine! The modern rhythm of life does not always allow you to spend time on full training, so some exercises can be done right behind the desk. On average, you need to spend at least half an hour during the work day. Even for these 30 minutes of movement, your body will thank you! If you take a closer look, you can find a lot of good opportunities to train in the office. You just need to learn how to use them. Any training, including office, you need to start with a warm-up. The ideal option is to climb and go down two or three floors. It's good to do this every hour or two. You immediately "wake up" the muscles from the sitting position. And at the same time, you have a rest for a couple of minutes from the working routine. Now let me introduce you 8 simple exercises that can be done in the office. - Bend over or squat down and place your hands on the floor in front of you, just outside of your feet. - Jump both feet back so that you’re now in plank position. 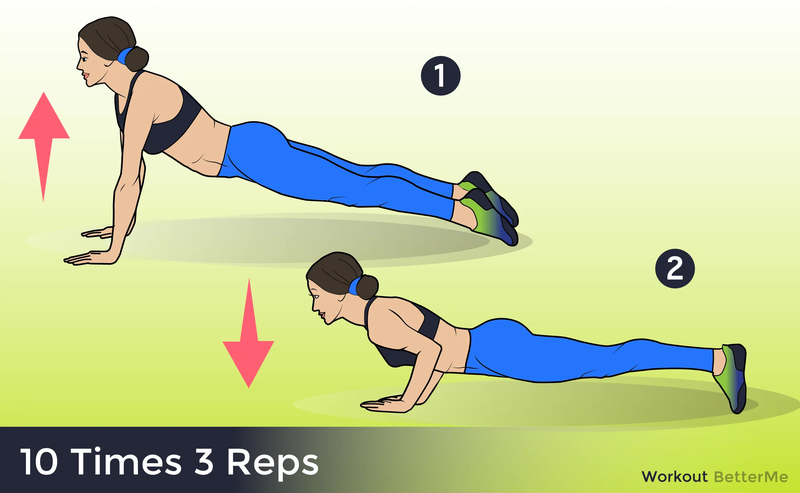 - Drop to a push-up—your chest should touch the floor. You can also drop to your knees here, which makes the impending push-up easier. 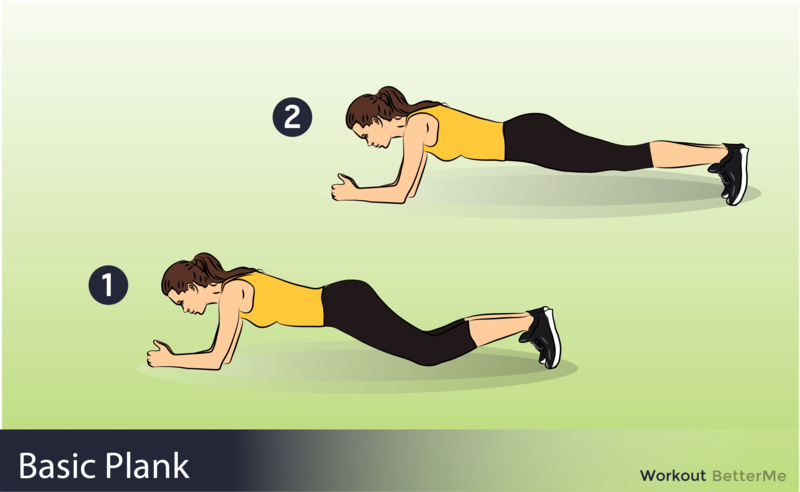 - Push up to return to plank position (this can be a strict push-up, a push-up from the knees, or not a push-up at all (i.e., just push yourself up from the ground as you would if you weren’t working out)—your choice). - Jump the feet back in toward the hands. - Explosively jump into the air, reaching your arms straight overhead. 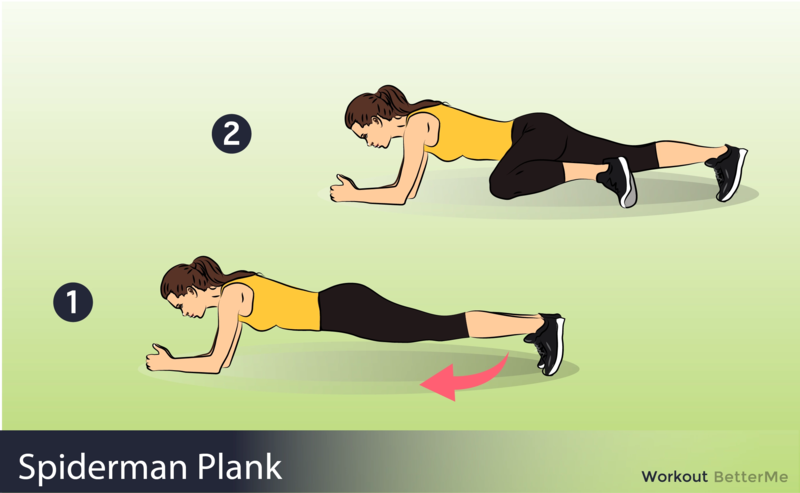 - Begin in a plank position with your arms straight. Your shoulders should be over your wrists and your body should form a straight line from head to toe. Keep your core engaged and don’t let your hips sag. - Next, slowly bend your elbows and lower your chest towards the floor. - Begin by lying on back with knees bent and hands clasped behind head. Elbows should be out wide. Feet should be flat on the ground. - Keep knees bent, feet off the ground, alternating knees to elbows. - Contract your core in, gently get the toes curled and lengthen your spine. Try to be as parallel to the ground as you can. - Pull one knee to the outside shoulder. 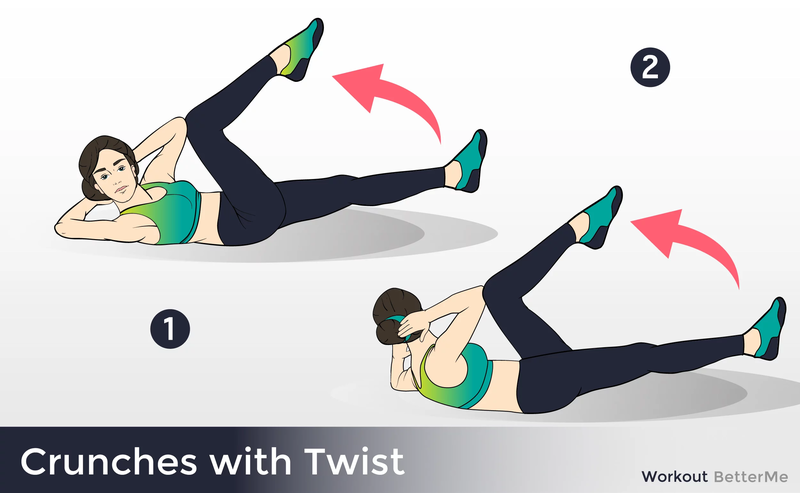 - Flex the abs muscles and feel a squeeze in your glute muscles. Stay stable in this position and you will feel the burn in your core muscles. - Stand as tall as you can with your feet spread shoulder-width apart. 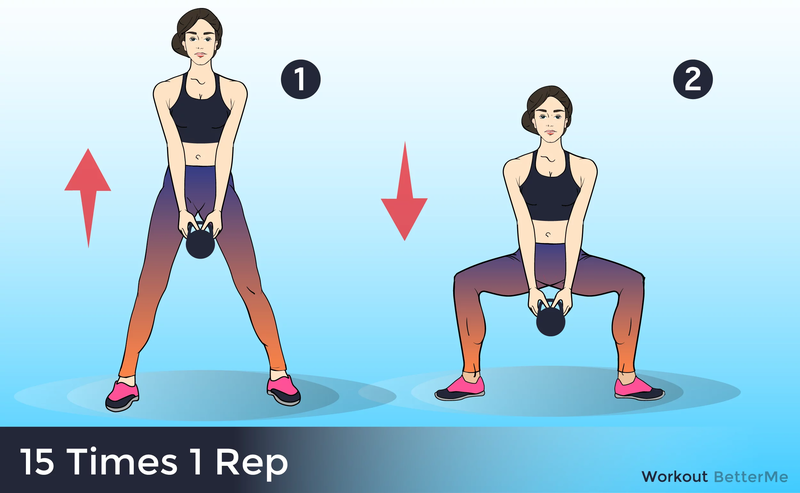 - Lower your body as far as you can by pushing your hips back and bending your knees. - Pause, then slowly push yourself back to the starting position. - Position your feet wider than your hips with your toes and knees facing forward. Keep your head up and your spine lengthened so there is no curve in your back. - Place your arms at your sides or bring your hands in front of your chest to assist with balance. Inhale, bend your knees and lower your hips behind you to a comfortable depth or until your thighs are parallel with the floor.